Interesting Information: Won National Award for Best Popular Film. 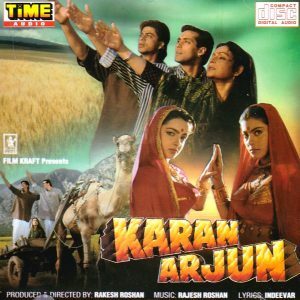 The movie received 10 Filmfare Awards which are Best Film, Best Director, Best Actor – Shahrukh Khan, Best Actress – Kajol, Best Supporting Actor – Amrish Puri, Best Supporting Actress – Farida Jalal, Best Performance in a Comic Role – Anupam Kher, Best Lyricist – Anand Bakshi, Best Screenplay – Aditya Chopra, Best Dialogue – Javed Siddiqui, Best Male Playback Singer – Udit Narayan, Best Music Director – Jatin Lalit . This movie declared as an All Time Blockbuster. Interesting Information: 4 Filmfare award winner which include Best actor in supporting role – Jackie Shroff, Best choreography – Ahmed Khan, Best Music – A.R.Rahman, Best Story – Ram Gopal Varma, Best Costume Designing – Manish Malhotra. A special jury award is given to Asha Bhosale for singing “Tanha Tanha”. The movie collected approx. 23 Crore at the box office. Interesting Information: This was the 2nd Highest Grossing movie of the year 1995. The movie won the 2 Filmfare awards which are Best Action and Best Editing. This film declared as a Blockbuster. 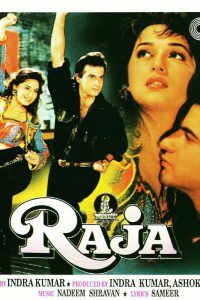 Interesting Information: This was Sanjay Kapoor’s second movie after “Prem” and emerged as a blockbuster hit at the box office. The movie won 2 Screen Awards. 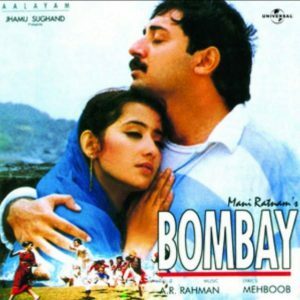 Interesting Information: “Bombay” won 2 national film awards which are Nargis Dutt Award for Best Film and Best Editing. 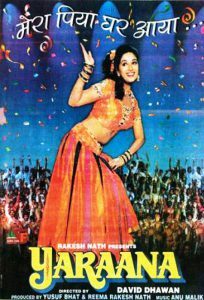 The Movie also won 2 Filmfare awards which include Best Films Critics and Best Performer (Critics) – Manisha Koirala. 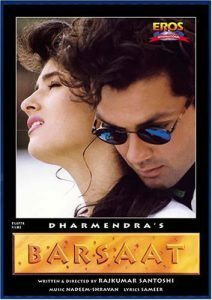 Interesting Information: Bobby Deol and Twinkle Khanna made debut in this film. Both artists won the Filmfare Best Debutant Award For Male and Female. The movie earned approx. 27 Crores at the box office and declared as a super hit film of the year 1995. 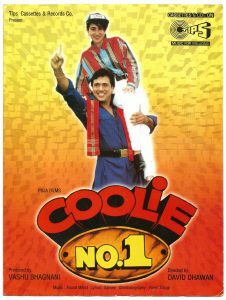 Interesting Information: This was the first movie of Govinda’s number 1 streak. The movie was a super hit. For his remarkable work, Govinda received Performer Of The Decade award at the screen awards. Interesting Information: This romantic Hindi movie received 8 Filmfare nominations but unfortunately didn’t win an award. 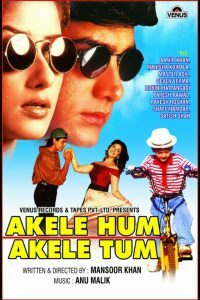 Film declared as a flop but music album became one of the best-selling album of the 90s. Interesting Information: Madhuri Dixit nominated for Filmfare Best Actress. 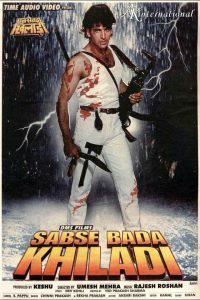 Raj Babbar also got the Filmfare nomination for Best Villain. Kavita Krishnamurthy won Filmfare Best Singer Female for Mera Piya Ghar Aaya. The movie was an average hit. Interesting Information: Shah Rukh Khan won screen award for Best Actor. The movie collected approx. 19 Crores at the box office and declared as a hit. Interesting Information: This movie established Akshay Kumar as an action hero. The film collected approx. 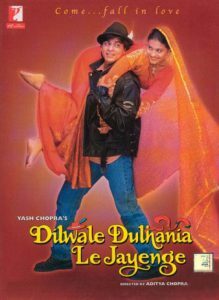 20 Crore and became one of the highest grossing Bollywood movies of the year 1995.